China will spend $ 1.8 billion on the construction of the "City of Science Fiction"
The Chinese authorities are going to spend 12 billion yuan ($ 1.8 billion) on the construction of the so-called city of Science Fiction - the center for creating books and scripts, films and entertaining TV programs dedicated to unknown worlds, time travel, adventures and wonders of the universe. The mayor of Chengdu city Luo Qiang told journalists, TASS reports. "In our city, the magazine" The World of Science Fiction "is published, which can be considered the" base "of creativity of the authors of the PRC in this genre," noted the mayor, speaking at the Chinese Science Fiction Conference-2017. "We established the two most prestigious Chinese awards in this direction - "Milky Way" and "New Man". Another city Chengdu founded the Chinese venture science association of science fiction. And now we are planning to create a "city of Science Fiction". According to the authorities, the new project will annually attract over 12 million tourists and provide an additional 8,000 jobs. A team of scientists from Cambridge and other UK universities have come up with wallpaper that can simultaneously act as solar cells and bioaccumulators. So, scientists have made ink for an inkjet printer with the addition of cyanobacteria, capable of photosynthesis, StroyObzor reports with reference to Inhabitat. With the help of printing, the ink is applied to the layer of carbon nanotubes that are being carried, which in turn are also placed on the wallpaper by means of printing. A set of these layers is the main ingredient of new wallpapers. Thus, a piece of wallpaper the size of the iPad is able to feed a diode bulb. 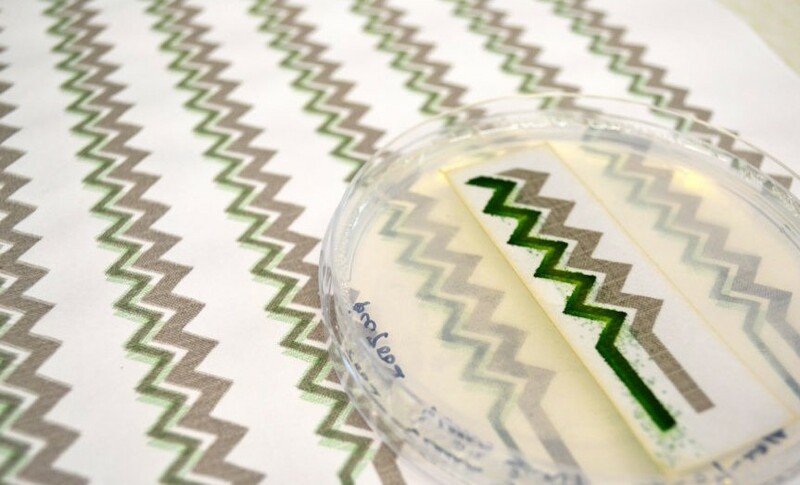 But, since such wallpaper does not produce an objectively too much energy, they can be used as biodegradable sensors. For example, they can constantly monitor the cleanliness of the air in the house. Despite the relatively unfavorable climatic conditions for solar energy, the UK is one of the European leaders in the development of photovoltaic generation. The country already has about 13 GW of solar power. A new project is planned in the south-east of the country. German company Wirsol and British Hive Energy have set up a joint venture for the construction of Cleve Hill Solar Farm, an object with an installed capacity of 350 MW, which will also be equipped with energy storage. If the project is completed, this solar power plant will surpass five times the size of the largest now in the UK Lyneham array (70 MW), which was commissioned in 2015. The largest in Europe today is the Cestas photovoltaic power plant at 300 MW located in the south of France. Cleve Hill Solar Farm has a number of significant features. The station is projected somewhat differently than other photovoltaic generation facilities in the UK. Modules here will be oriented not to the south, but to the west-east, and to be mounted at a lower angle. Thus, the amount of electricity produced will be increased, and a smoother production curve will be provided. In addition, the station will be equipped with accumulator energy storage, and provide, thanks to them, energy system balancing services. At the request of PV-magazine about the use of energy storage, the following response was received: "Despite the fact that the design of the project may change in the course of consultations, everything indicates that the accumulator energy stores will remain an integral part of the energy solution of the park." According to the initiators of the project, the photovoltaic station will be built and operated without government subsidies. I suppose that profitability will be provided due to relatively high prices for electricity in the UK market and payments for system services. Let me remind you that a similar project without subsidies, only a smaller size, has already been implemented in the UK. By its size, the Cleve Hill Solar Farm solar power plant falls into the category of "Nationally Important Infrastructure Projects". Therefore, for its construction, the permission of the relevant ministry (Department for Business, Energy and Industrial Strategy) will still be required. In this place they intend to apply advanced scientific technologies. The inhabitants will be provided with high-speed networks, data centers, autonomous transport and logistics hubs. In general, the infrastructure will be well thought out in the city and the latest information technologies will be introduced. It will be located on Interstate 40, 45 minutes west of the capital of Arizona, Phoenix, in the direction of Las Vegas. Smart city will be called Belmont because of the name of the territory, where it should appear. Once along it passed the well-known Route 66 highway, and there on the hills people settled. But seven years ago a tornado destroyed all the houses, and many residents moved away from a dysfunctional place. The city will occupy an area of 10 thousand hectares. 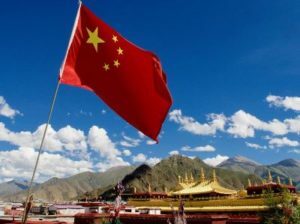 15 percent of the entire territory will be spent for office buildings, five more for educational institutions, and many places will be occupied by trading platforms. According to preliminary estimates, more than 80,000 Americans will live in the "smart city". As reported by the Arizona real estate investment company, the deal was settled in 80 million dollars, because only a deserted uninhabited territory was bought. When it begins to carry out any construction work, to say until no one undertakes. During the WWDC 2017 conference in June this year, Apple proudly announced that it successfully sold 1 billion smartphones. Even if we take into account the fact that some of them have not been used by anyone for a long time, in any case every tenth person on Earth uses some generation of iPhone. This is just incredible, especially with the fact that since the release of the first iPhone 2G in the distant 2007 it's been only ten years and during this time Apple managed to reach such a mark. A huge part of all mobile devices of the "apple" corporation supports the operating system iOS 11, which has a hidden useful function that no one knows about. Specifically for the operating system iOS 11, Apple completely reworked a number of applications, one of which was the App Store, which is in all iPhone, iPad and iPod Touch. He received not only a new interface, which now looks more like some kind of social network, but also new features, one of which none of the owners of "apple" products knows. It is very well hidden from prying eyes, and it can only be found in a random way. In order to take advantage of a useful hidden function, just select any application from the App Store and then go to the reviews section. It is often possible to meet such reviews, which contain some obscene words, insults, advertising or something like that. 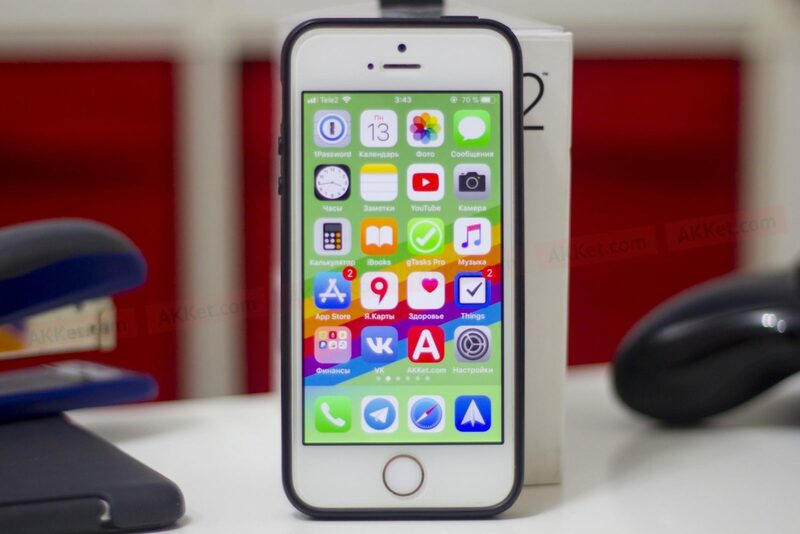 Such messages are better not to be seen at all and specially for this Apple has added to the operating system iOS 11 a function that allows voting for reviews. It's enough just to press and hold your finger on some recall, after which a menu will appear on the screen, allowing you to evaluate the application - put "Useful" or "Not useful", or choose the option "Sending a complaint". If you select the latter, a window appears in which you will be asked to specify the reason. Apple reports that the more reviews of different ratings, the higher or lower it is displayed in the issue. The responses, which are often complained of, are automatically deleted from the App Store, or they fall to the bottom, if they do not contain any, then obscene words. This feature, which is available in all iPhones and iPads on iOS 11, is extremely important in that it allows you to clean the application store from the paid reviews or simply useless empty messages that do not carry any meaningful meaning other than insults. The more people will know that in the App Store this way you can evaluate user reviews, the purer and better this site becomes, where you can download applications and games. By the way, there is a similar opportunity in the iTunes Store, which sells movies, TV shows, music and TV shows. This must be known.